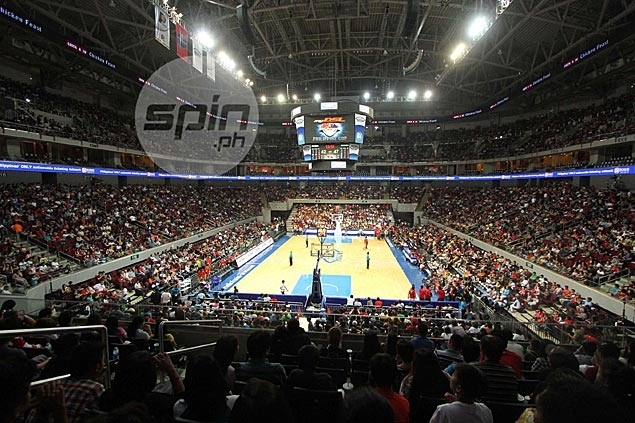 Game Two or Game Three of the PBA Philippine Cup finals will be held in Lucena. THE PBA provides a treat to its fans in Quezon province as it holds one game of the Smart Bro-Philippine Cup Finals in Lucena. Game Two or Three of the best-of-seven title series, depending on how both semifinal series pan out, will be held at the Quezon Convention Center, marking the first time in four years and ninth overall, that a finals match will be held outside the metro. The last time a title series was held in the road came in the 2012 Philippine Cup Finals between Talk ‘N Text and Powerade, which faced off in Digos. Alaska already clinched a seat in the title series on Tuesday after its 118-89 rout of GlobalPort in Game Five of their best-of-seven semis series, which the Aces won, 4-1. The other semis series between defending champion San Miguel and Rain or Shine is currently tied at 2-all, with Game Five set Wednesday at the Smart Araneta Coliseum. If the series between San Miguel Beer and Rain or Shine extends beyond Friday, January 15, Game One of the finals will start on January 19 at the Araneta Coliseum, Game Two on January 22 in Lucena, Game Three on January 24 at the Philsports Arena, and Game Four will be on January 27 back at Araneta. If necessary, Game Five is scheduled on January 29 again at Araneta, Game Six on January 31 at back at Philsports, and Game Seven on February 3 at MOA Arena. However, if the SMB-ROS series ends on Friday, the title matchup between the winner and the Alaska Aces begin on Sunday with Game One at Araneta, Game Two on January 19 at Araneta, Game Three on January 22 in Lucena, and Game Four on January 24 at Philsports. If the series goes beyond four games, Game Five is on January 27 at Araneta, Game Six on January 29 at Araneta, and Game Seven on February 3 at MOA.